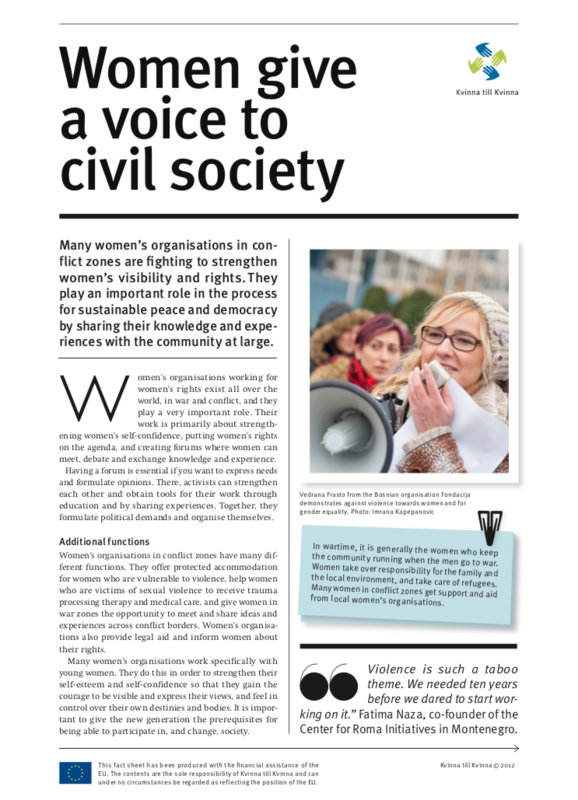 This fact sheet focuses on women’s vices in civil society. In many conflict zones, women’s organisations work to strengthen women’s visibility and rights. They play an important role in the peace and democracy processes by sharing their knowledge and experience with the community at large.